Newton Johnson Vineyards is situated in the Wine of Origin ward of the Upper Hemel-en-Aarde Valley, which is located approximately 135 kilometres from Cape Town on the Southeast Cape coast. The appellation has already established itself as one of the premier viticultural sites in the Cape, traditionally specialising in Pinot noir and Chardonnay. Recently, it has further discovered an affinity for Syrah and Sauvignon Blanc. In South African terms it is seen as one of the coolest vineyard sites, with the ability to create wines of finesse, minerality and complexity. Ranging in their proximity to the ocean from 2 km to 8 km, every vineyard in the Valley has the distinct feature of being able to see the sea. The climate is temperate. Parallel mountain ranges channel the southerly maritime winds through the appellation in the summer. These winds in turn bring regular sea mists and overcast conditions to the valley and with it remarkably even temperatures. The average mean temperature is 19.8 C, the annual rainfall 750mm, with the altitude of the various vineyards between 100 and 300m. There are two properties belonging to the domaine, Newton Johnson Vineyards (north-facing) and Sandford (south facing), with 18 Ha of vineyard planted and 140 Ha in total. Our farming practices are sustainable and environmentally friendly, that inevitably leads to better wine in the bottle. Our vineyards are 100% free of any leafroll virus, having used natural agents such as ladybird and wasp insects over the years to keep our vineyards healthy. We also utilise high density plantings and some alternative vine training methods, such as guyot (cane pruned) and echalas (stake trained) vines, striving for more balance in the growth of the vineyards and better flavour representation. Our soils, here in the upper part of the valley, are variable concentrations and depths of decomposed granite, fine fragments of quartz, and clay. The diversity produces a variety of characters, from fine and perfumed to more structured wines. 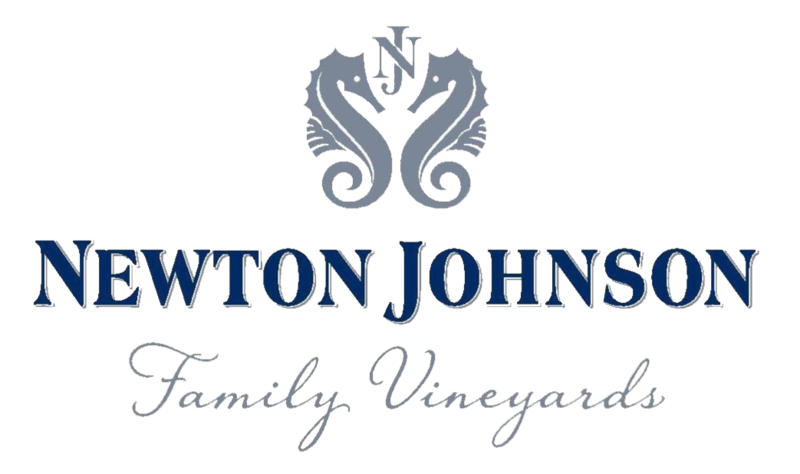 The wines of the Family Vineyards are the select combination of vineyard parcels that make, in Newton Jonson's eyes, the best, more distinct and intriguing wines that represent their fram. Illuminating quality, powerful yet precise and energetic. Green lime, chalk and allspice give ornate lift to the richer, riper lime, yuzu citrus and headier spices. Grape tannin buttresses the vibrant citrus flavour, lengthened by the bright acidity in to a resonating, dry and granular finish. Lasting evolution deepening into lavish concentration. A vintage of energy with bustling spicy notes and graphite framing the red currant and cranberry fruit, that channels in to austere blackberry and tertiary, wet forest aromas. Tannic tension spans the linear palate, dilated in the middle with plump black fruit, which tapers to a long, savoury finish. Glowing and luxuriant. Sophisticated black and red fruits mark the superabundance of this epic red vintage. Graphite, fennel seed, warm spice and freshly turned earth render finer detail. Intricate tannin structure, fine and powdery to assertive grip, restrain the rich flavour in to a long and savoury finish. Newton Johnson shares engaging relationships with a few growers in their area. Here you find a few specialities of their own, including a few more from the vineyards of Newton Johnson itself. Heady array of ripe fruits and fine florals. Yellow grapefruit, braced with riper citrus, are buoyed with wafty lime blossoms and an edge of bitter lemon peel. Generous texture, succulent up front, narrowing to a prolonged, grainy finish of crushed stones and grape tannin. Crisp and articulate. A potent aura of ripe limes and lime peel, brightened with ginger and almost jasmine-like florality. Compact fruit core in the mouth with honeydew succulence. The clean acidity holds throughout the palate in to the powdery, dry finish. Texture is of prime importance in our whites and Semillon forms the broader framework of this particular blend. Newton Johnsons intention is to produce a wine that is pure, finely textured, and not overtly oaky. Exuberant and scented berry fruit flavour classic to the Hemel-en-Aarde area is found in this wine sourced from vineyards on the lower slopes. Youthful acidity and grippy texture form respectively from our cool Atlantic-influenced climate and granite soil. This wine is how we define this jagged landscape on the bottom slopes of Newton Johnson. Robust vines like Syrah, Grenache, and Mourvèdre, thrive in this type of rocky soil. We were encouraged to discover bright and invigorating wines with compact black fruit, spice, perfume, and sophisticated tannins. For Felicite, it started with pursuing to make the best dry rosé in time for crayfish season, and ended with sharing why the essentials of some Burgundy varieties provide some of the most fulfilling wine experiences. Fresh pomegranate and cherries aromas with a touch of spice. Crunchy palate, delightful fruit sweetness, and juicy acidity to finish. The grapes are sourced mainly from the Eilandia ward where Nadia’s family has grown vineyards for 6 generations. The warmer climate produces sweeter berry flavours, and the uniquely alkaline soils in the area deliver a soft, very approachable texture.